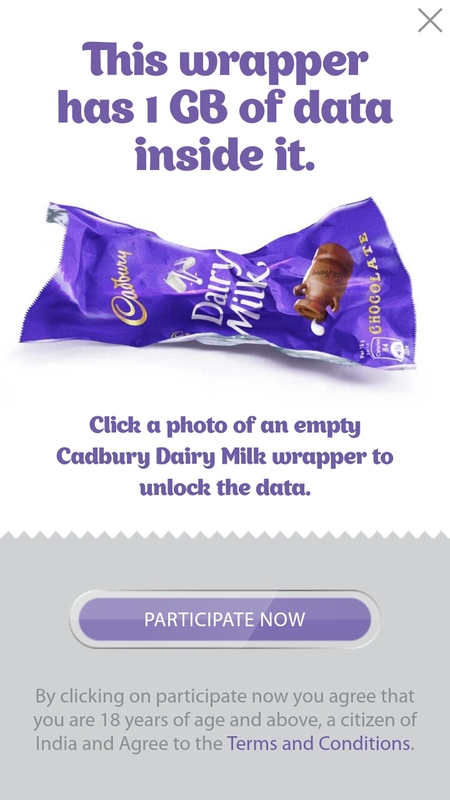 Jio Gives a 1Gb Free Data just uploading Dairy Milk Wrapper Pic. 2- Open App & Login With Your Jio Number. 5- Click On “Participate Now”. 6- Allow Permission & Click Pic. 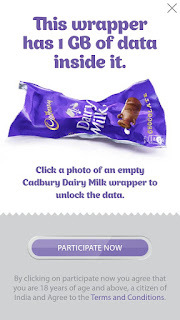 8- Now You Can Claim Data For Yourself Or Can Donate For Child Learning Cadbury Foundation. 9- If You Want To Donate , Click On “Donate Now Option”. 10- If You Want To Claim That Data , Click On “Keep 1 GB”. 11- Click On Any Option As Per Your Choice. 12- If You Claimed Data For Yourself , It Will Credited To Your Account Within 6-7 Days.